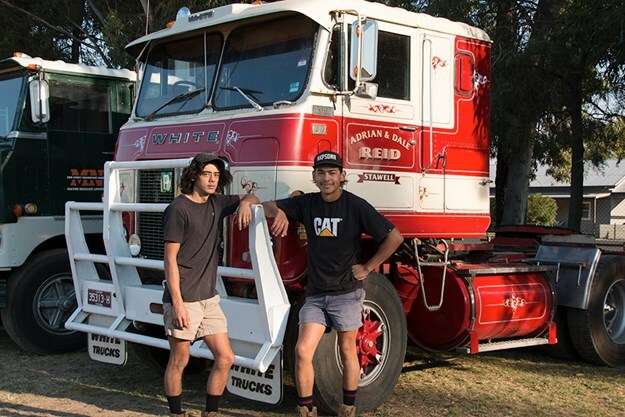 Trucks travelled from as far as Brisbane and South Australia for the 2019 Australian White Truck Muster at Kyabram, Victoria, in March. The number of White trucks working on Australian roads has dwindled since production ceased in Australia and internationally in the early 1980s. 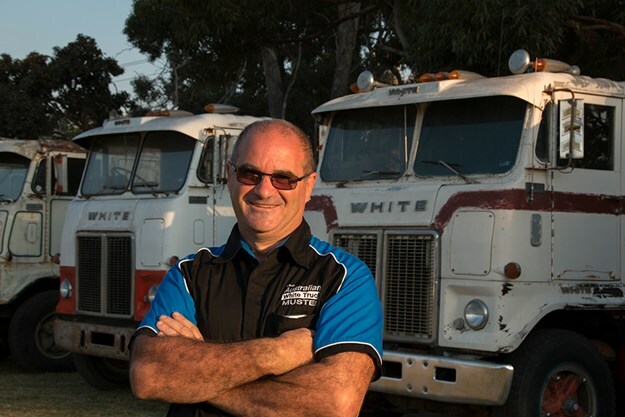 But Ray Grima of Kyabram says White trucks are becoming increasingly collectible. 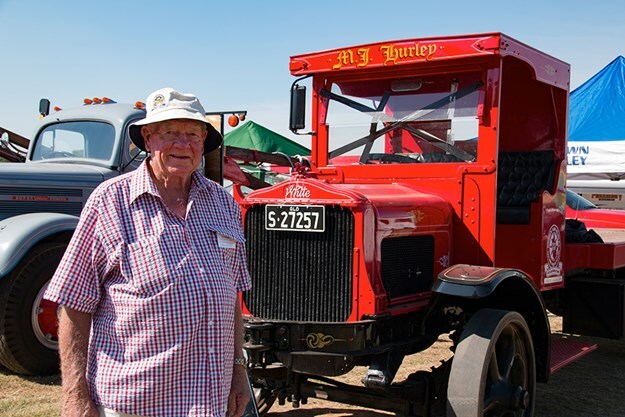 Ray organised the eighth biennial Australian White Truck Muster at Kyabram on March 16 and 17 with help from his wife Michelle and a band of supporters. He says Super Powers and 3000s have long been popular with restorers. "What I’ve noticed is that people are now collecting more of the 9000, 4000, Road Boss and Road Commander." White Muster organiser Ray Grima. This year’s White Muster welcomed 36 White-branded trucks as well as 27 trucks from associated brands including Diamond T, Reo and Autocar (which were acquired by White), and Western Star (which was established by White). Adding tractors, crawlers and lawnmowers to the tally brought the grand total for the White Muster to 80. Ray took six White trucks to the muster, including a rare 1938 White 802. Jim Hurley with his 1922 White – the oldest White at the Muster. The oldest White at Kyabram was a 1922 model displayed by Jim Hurley from the Brown and Hurley truck dealership. Jim’s grandfather sold a bullock team to purchase a similar White in 1922. Adrian Reid, 21, fixed P plates to the 1980 White Road Commander which he drove from Stawell, Victoria. He restored the Road Commander with his brother Dale, 19. The White Muster is held every two years as part of Kyabram Vintage Engine & Machinery Restoration Group’s annual Vintage Machinery Rally. The rally welcomed all brands. A good assortment of classic trucks lined up just a short stroll from the White display. Next year the biennial Kyabram Mack Muster will take place at the Kyabram Vintage Machinery Rally on March 21 and 22, 2020. Read more about the White Muster in the April issue of Owner//Driver.